Lemon curd is one of those little indulgences that I always love. The smooth, custardy curd is delicious whether you eat it with a spoon or incorporate it into a recipe. Lemon curd is most often made with ordinary lemons, but meyer lemons make an amazing lemon curd and it is well worth going out of your way to pick some up and give that variation a try. 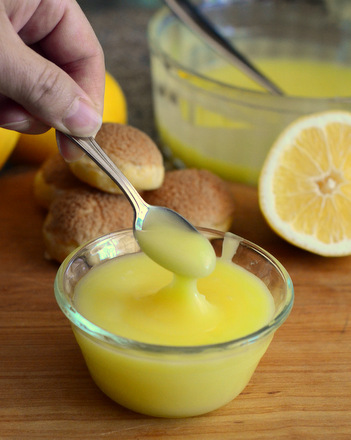 I’m sharing my recipe for Easy Homemade Meyer Lemon Curd over at the Craftsy blog (it’s free! 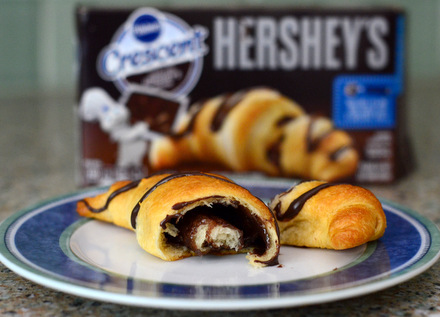 ), so you can follow the step-by-step pictures and treat yourself with a freshly made batch at home. One of my pet peeves with lemon curd recipes is that they call for a number of lemons instead of a quantity of lemon juice. This is particularly difficult with meyer lemons, which tend to be on the smaller side but come in a range of sizes. My recipe uses a specific amount of lemon juice, so you know exactly how much you need to ensure the recipe turns out perfectly every time you make it. This lemon curd makes an amazing filling for my Lemon Curd Donut Muffins or my Lemon Curd Cream Puffs, so make up a batch and put it to good use at a weekend brunch this month! 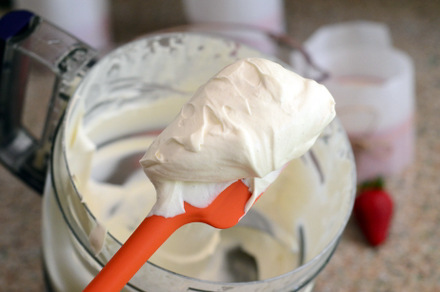 I generally make huge batches and freeze in containers for a ready curd. It also makes an amazing tangy and cool frozen treat. And amazing swirled into homemade or good store bought vanilla ice cream. The contrast between sweet and tart and the refreshing quality of the two makes a great summer treat. Cut it with some whipped cream for an amazing lemon custard type filling or trifle custard layered with fruit. Lets not forget your Vanilla and Lemon Layer cake for using lemon curd. It has become the favorite of the family’s for a birthday cake. Also love the lemon curd in your Thumbprint Cookies. Yum!